Scott has been painting a lot this weekend. Several paintings, two self portraits, and a miniature book of flower paintings. 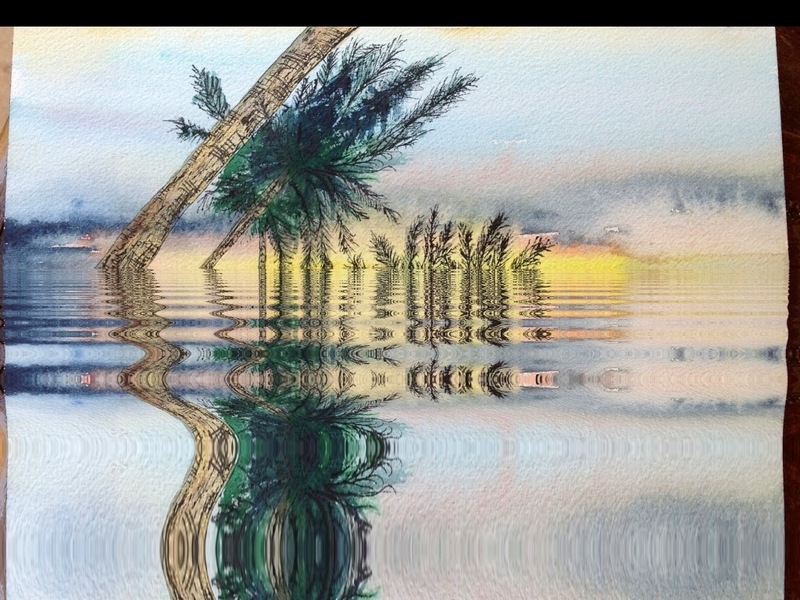 He’s also been manipulating his painted images digitally like the palm tree lanscape shown below. Which version do you prefer? 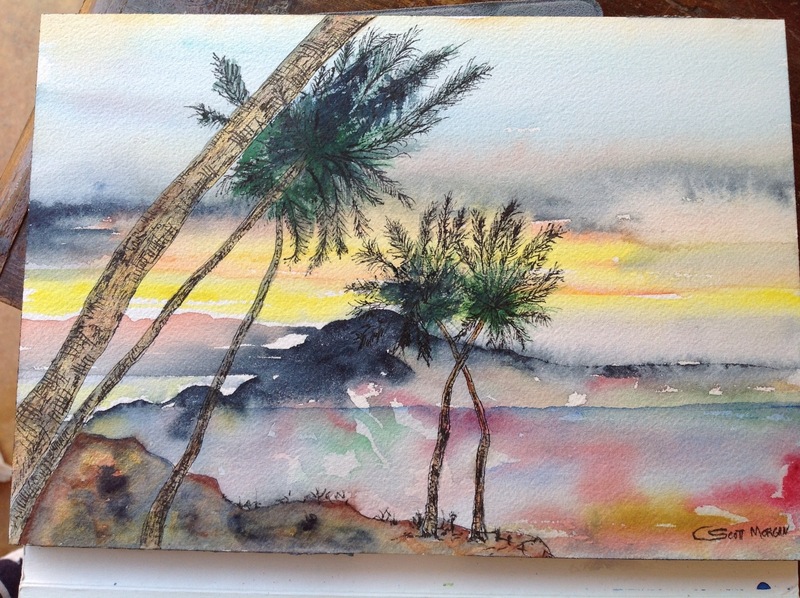 This entry was posted in Uncategorized and tagged art, Going to Goa Blog, Scott Morgan, traveling with cancer, watercolor paintings. Bookmark the permalink. Scott’s painted water is better lots than the computer manipulated version. Such talent and skill with brush and paint doesn’t need pixels and programming.Ya’ll are doing great things in Goa. Happy New Year! I like both but the digital is my favorite…keep up the wonderful art Scott! That top one is my favorite. Great stuff.